The selection of recently released songs and videos from rock acts. The fresh lyric video for the song "Gimme the Keys LV" from the American rockers Clutch, which will appear on their new album "Book Of Bad Decisions". The LP release is scheduled for September 7 via Weathermaker Music. Featuring former Agalloch members Don Anderson (guitar), Jason Walton (bass) and Aesop Dekker (drums) alongside ex-Giant Squid guitarist/vocalist Aaron John Gregory, Khôrada will release its debut album, "Salt", on July 20th via Prophecy Productions. Below, you can listen to the song "Ossify" from the upcoming LP. The international project Árstíðir has released a new single "Entangled". The song appears on the band’s album "Nivalis", which will come out on June 22 via Season of Mist. 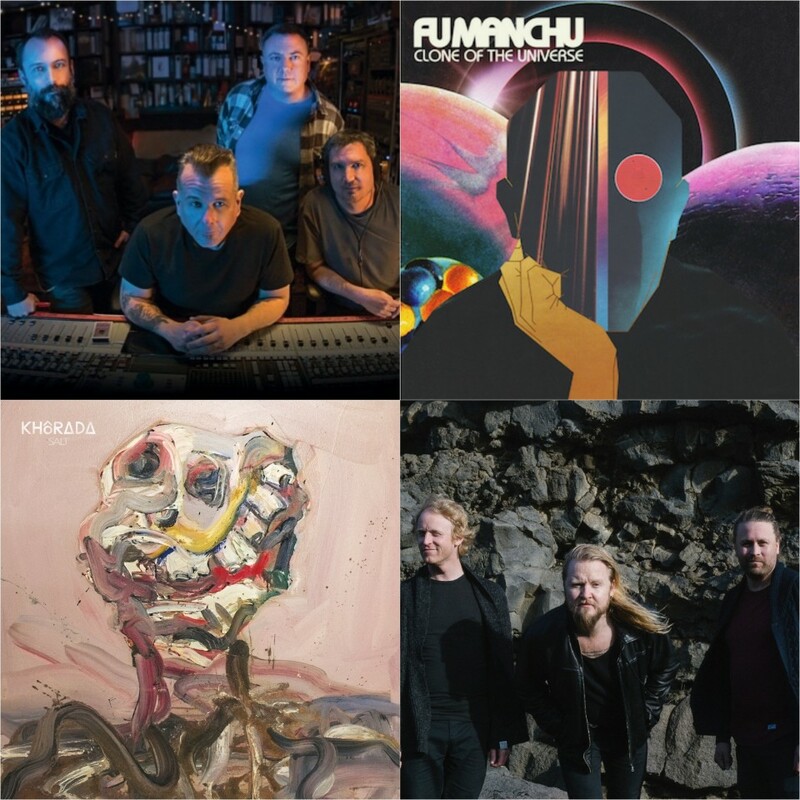 In early February, the American fuzzy rockers Fu Manchu released their new 12th album "Clone of the Universe" via their own label At The Dojo Records. Below, you can watch the lyric video on the record’s title track. Follow this link to check out Fu Manchu’s single "IL Mostro Atomico", recorded with Rush’s guitarist Alex Lifeson. The video "Mephistopheles" from the Swiss stoner/blues rockers Mystic Sons. The song will appear on the debut and self-titled album, "Mystic Sons", which will be released on June 1. The video clip for the song "Chasing Dragons", taken from the new album "Infernal Overdrive", released by the American band White Wizzard. The video "Owls Not What They Seem", inspired "by one of the greatest American directors, David Lynch". The composition is taken from the latest album "Manta" of the Czech post-rockers Postcards From Arkham.